The Department of ARTS, CULTURE & MEDIA (ACM) is a multi-disciplinary arts and media department with five unique programs each of which offer both majors and minors: Art, Design and Art History (both BAs and BFAs); Journalism; Music; Theater; and Video Production. ACM is a unique department that not only allows for specialization but also offers a unique opportunity in the ever more interdisciplinary world and workplace that we live in. All majors complete a departmental interdisciplinary requirement. This interdisciplinary core (the ACM Sequence), which calls for students from all five department programs to study together, consists of three classes. All three classes emphasize interdisciplinary learning. Two of the classes combine students from across the department and are team taught by instructors from different programs and disciplines. A third class is taught within the student’s major. While every course in the sequence has specifically defined parameters, the thematic topic of individual classes varies from year to year and section to section depending upon the faculty teaching. Building upon this, students can also double major in the department. A team-taught class that introduces students to department disciplines, integrative learning, and using the urban region as a site of learning. The second class in the sequence combines interdisciplinary pedagogy with a student’s major. This class is assigned by each department major. It has no pre-requisites. Colloquium in Arts, Culture and Media is a team-taught interdisciplinary special topics class led by two professors from different disciplines within the department. Seminar in Arts, Culture and Media is a team-taught capstone experiential-learning course that combines, integrative strategies with a community-based project. The Department of Art, Culture and Media is housed in Bradley Hall, high on a long sloping hill with a panoramic view of Rutgers campus and the city of Newark. Bradley Hall, a reclaimed industrial building, has retained its some of its characteristic rawness with 14-foot ceilings and tall windows. 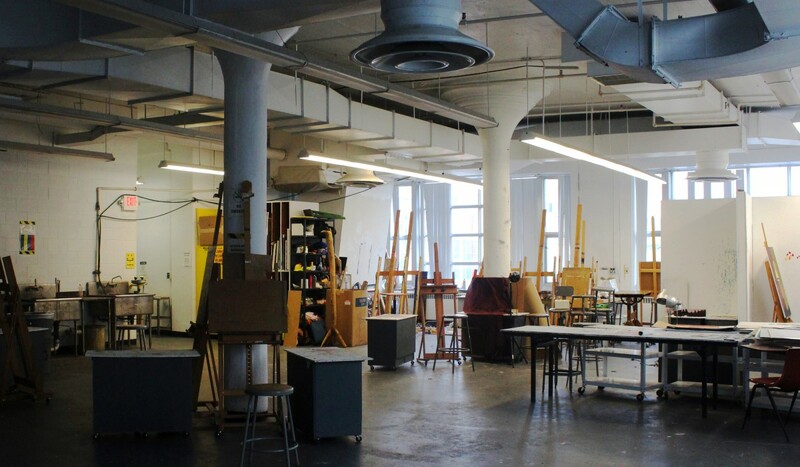 Art and Design facilities are comprised of large open studios for fine arts and graphic design: drawing, painting, printmaking, ceramics, and a wood shop. The Photography area includes a film/printing darkroom, traditional photo studio for portraits and still-life, inkjet photo-printing lab, and a photo book-making studio. The Theatre program has two theater performance spaces that present quite different challenges and experiences: The large Jim Wise Theatre on the New Jersey Institute of Technology campus which seats over 400; and the intimate 135 seat Bradley Hall Theater on the Rutgers campus. The technology labs for ACM are located on the fourth floor of Bradley Hall. We are a 100% Apple facility, the only one on the Newark campus. 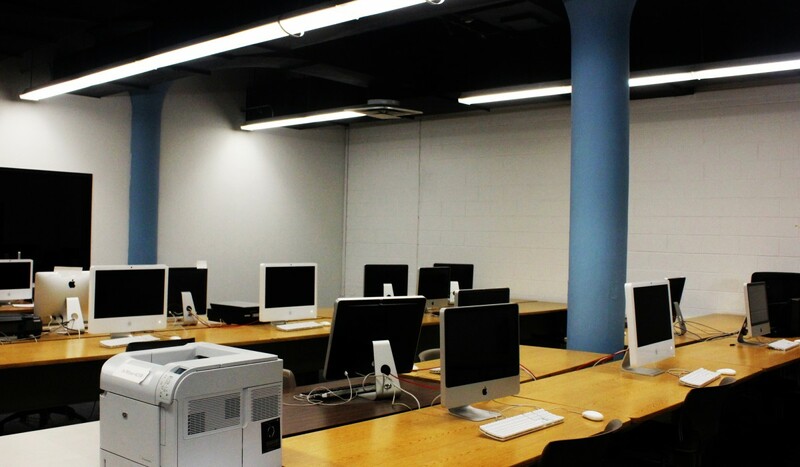 The technology labs host many classes in Journalism, Graphic Design, Photography and Video Production. Resources for students who takes classes in ACM include software such as Adobe Creative Cloud, Apple FinalCut, Corel Painter, and hardware scanners, Wacom tablets, 3D printers, as well as color laser and high-end large format printing.